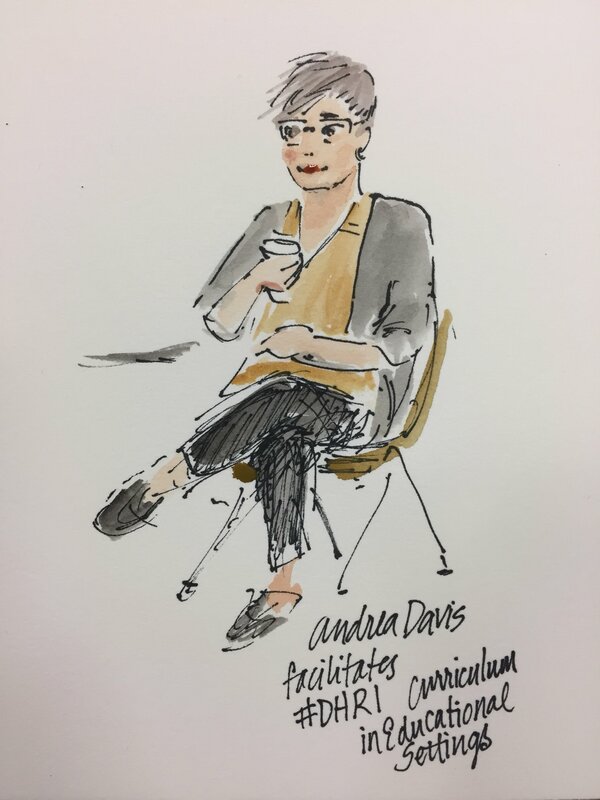 Andrea Davis is Assistant Professor of History and Digital Humanities Director at Arkansas State University, where she researchers the memory cultures and urban social movements of 20th-century Spain. In addition to her work at the University, Andrea is the Associate Director of the Spanish Civil War Memory Project: Audiovisual Archive of the Francoist Repression and the Book Review Editor for the journal of the Association for Spanish and Portuguese Historical Studies, Bulletin for Spanish and Portuguese Historical Studies. Ph.D., Modern European History, UC San Diego, 2014. Fields of Study: Modern European History, Early Modern Europe, Spanish and Catalan Cultural Studies. Committee: Dr. Pamela Radcliff (Chair), Dr. Frank Biess, Dr. Luis Martin-Cabrera, Dr. Kathryn Woolard, and Dr. Patrick Patterson. Dissertation: Santa Coloma de Gramenet: The Transformation of Leftwing Popular Politics in Spain, 1968-1986. A.B., Philosophy, Brown University, 2005. A.A., Liberal Arts, Simon’s Rock College of Bard, 2001. Assistant Professor of History and Director of Digital Humanities, Arkansas State University, Fall 2017-Present. “Introduction: Digital Humanities Special Issue,” Bulletin for Spanish and Portuguese Historical Studies 43, no.1 (2018). https://doi.org/10.26431/0739-182X.1293. “The Spanish Civil War Memory Project: Constructing and Enhancing a Digital Archive,” co-written with Luis Martín-Cabrera, Bulletin for Spanish and Portuguese Historical Studies 43, no.1 (2018). https://doi.org/10.26431/0739-182X.1290. “From Learning to Cite to Learning to Write: Using Zotero in the Classroom,” Perspectives on History, October 9, 2018. https://www.historians.org/publications-and-directories/perspectives-on-history/october-2018/from-learning-to-cite-to-learning-to-write-using-zotero-in-the-classroom. Associate Director, Spanish Civil War Memory Project: Audiovisual Archive of the Francoist Repression, 2017-Present. Graduate Center Digital Initiatives at CUNY, participant Digital Humanities Research Institute, 2018-2019. UC San Diego Chancellor’s Interdisciplinary Collaboratory, research fellowship “Catalan Independence: Voluntary Organizations and the Construction of Social Change,” 2013-14. “The Spanish Civil War Memory Project: Creating Access to International Exchange,” Bucknell Digital Scholarship Conference, Lewisburg, 2018. “Latin America on their Minds: Progressive Politics and the Trans-Atlantic Imaginary in Spain, 1968-1986,” Latin American Studies Association, Barcelona, May 2018. “Integrating Students into Digital Humanities Research: The Spanish Civil War Memory Project,” Association for Spanish and Portuguese Historical Studies, Portland, April 2018. “Inclusivity in the Classroom: Constructing Catalan National Identity in Barcelona’s Spanish-Speaking Periphery,” Association for Spanish and Portuguese Historical Studies, New York City, March 2017. “Transnationalism at the Grassroots: Progressive Catholicism in Spain and the Protest Cultures of the Long 1960s,” American Historical Association, Denver, January 2017. “Mobility and Transnational Contact in the Making of Spain’s Neighborhood Movement (1968-1986),” Cultura, protesta y movimientos sociales en la España contemporánea, Madrid, November 2016. “Reassessing the Pacto de Silencio: Claiming Public Space in Santa Coloma de Gramenet during the Spanish Transition to Democracy,” European Social Science History Conference, Valencia, March 2016. “Tiempos en que hasta la rebelión de las masas se ha hecho posmoderna:”Urban Unrest in late1980s Catalunya, Association for Spanish and Portuguese Historical Studies, San Diego, March 2016. “El Plan Popular:” The Institutionalization of the Urban Movement during the Transition in Spain,” Association for Spanish and Portuguese Historical Studies, Baltimore, March 2015. Discussant for “Comparing the Spanish and Portuguese Transitions to Democracy,”Association for Spanish and Portuguese Historical Studies, Baltimore, March 2015. Reframing ‘Disenchantment:’ Regulating Citizen Participation and Constructing Sites of Memory during Spain’s Transition to Democracy,” American Historical Association, New York, January 2015. “‘I’m from nowhere really’: Ruptured Narratives of Family Origins among Anti-Francoist Militants,” European Social Science History Conference, Vienna, April 2014. Co-written with Page Piccinini and Aida Ribot, “Catalan Independence: Voluntary Organizations and the Construction of Social Capital,” Symposium About Language and Society Austin, University of Texas at Austin, April 2014. “Enforcing the ‘Pact of Silence’: The Struggle over Public Space and the Discourse of Antifascism during the Spanish Transition,” Association for Spanish and Portuguese Historical Studies, Albuquerque, April , 2013. “Popular Catalanism: The Struggle Over Public Education in Barcelona’s Industrial Belt,” Southwestern Spanish History Symposium, UC San Diego, January 2012. Book Review Editor, Bulletin for Spanish and Portuguese Historical Studies, 2017-present. Journal Manuscript Reviewer for Bulletin for Spanish and Portuguese Historical Studies, 2017-present. Journal Manuscript Reviewer for Memory Studies, 2015-2016. Association for Spanish and Portuguese Historical Studies. Advanced reading knowledge of Catalan.